Refresh your jewelry wardrobe with on-trend styles and a carefully curated mix of pieces by designer collections, including Alexis Bittar, Chan Luu, Miguel Ases, Anna Beck, Jennie Kwon, Dogeared, Ayala Bar, and Tokyo Bay. 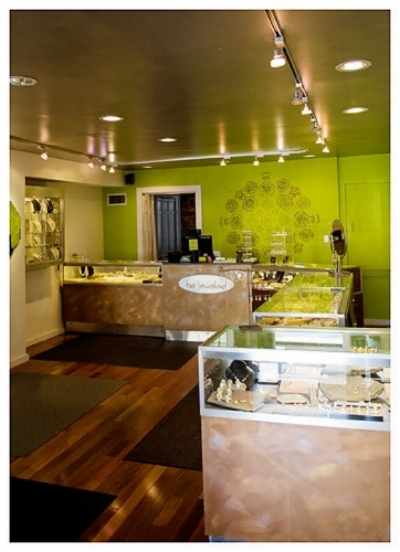 be jeweled was established in 2000 offering fun and fine jewelry to the SouthCoast community and beyond. We opened our first location in South Dartmouth in the picturesque seaside village of Padanaram. Now our seasonal location, you can visit us here May through August. We remain in our quirky, but beautiful, spot on the second floor where we continue to love the view of our beautiful harbor. Our Flagship store is in the National Historical Park of downtown New Bedford, adjacent to the working waterfront. be jeweled offers a curated, eclectic mix of styles from talented designers around the world with an emphasis on trending styles. We are committed to bringing you the enjoyment of owning pieces that truly reflect your individuality.